Today I want to share a real-life case study with you, but it won’t actually be a story-like description of how things got done. Instead, I’m taking a more advice-driven (step-by-step) approach, where you can take the things I’m sharing and apply them to your own situation (career) right away. However, this still is a description of things that happened to a real-life freelance writer – me. My story of how I Started Freelance Writing Career in 6 steps. I’m not talking about “finding” your area, I’m talking about “creating” it, and there’s a big difference between the two. Finding your area seems much easier. It involves doing some soul searching, figuring out what you’re knowledgeable about, and then writing some articles around that topic. When you’re creating your expertise, on the other hand, you have to pick an area you’re passionate about, and then build your expertise from the ground up by acquiring knowledge. Now here’s the funny part. The second approach is actually one that can bring you better results. For example, Michael Jordan was not great at basketball when he first started playing. He was even rejected from his high school team. Michael Jordan became the legend he is because he chose to create his expertise consciously. What I’m trying to say here is that you don’t have to write about things you’re already knowledgeable about. Instead, pick whatever area you want, and then become an expert in it. Chances are that no one will want to hire you until you have a portfolio of some kind. And this is quite understandable … why would anyone believe that you can actually write in an engaging way, right? The best way of getting this initial portfolio (and the experience) is to start your own site/blog. Even if you don’t plan on being a professional blogger, such an asset can help you greatly in searching for new freelancing opportunities. You can use your blog as your headquarters where prospective clients can get a hold of you. You can publish relevant articles (touching upon your area of expertise), which will act as samples of your skills. The blog itself can go viral and bring additional eyeballs to what you’re doing. You can use your blog as your business card. By utilizing some SEO practices, you can get a lot of organic traffic from people looking for freelancers. A blog is a crucial step in this process. Things will be a lot tougher without a blog! The biggest benefit of owning such a thing is that you no longer need a CV or anything, your blog becomes the best CV possible. “Free” is the most powerful word in the English language (according to Dan Ariely, the author of Predictably Irrational). People simply can’t resist to receive something free … even if they don’t need it. But you’re in an even better situation as you will be sharing things that people actually do need – free articles and advice. And by free articles I mean guest posts. When it comes to free advice it’s even simpler. You can pick your target, look around at what they’re doing, and send them a simple email containing some tips on how things can be improved. The exact advice you can send depends on the niche you’re in. For example, if you’re in the website development niche, you can send some advice on what design changes to implement in order to improve the conversion rates on a given site. Such an approach can be really beneficial as people naturally want to return the favor when you do something nice for them. This is how I got one of my freelance projects. If you’ve been on the internet for a while then you probably have some online friends or business partners who can help you get things going. Simply sending them an email noting that you’re now taking new freelance clients might just be enough to get you a new project. But don’t make it a “hire me” mail. Focus on providing some info about your services and don’t try to pitch anything specific. This will enable your contact to send such a message further to their own contacts. 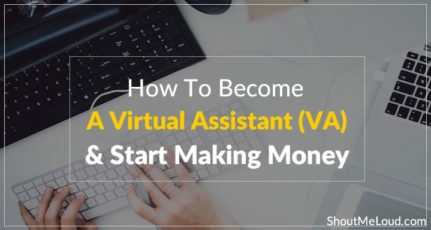 Believe it or not, but this is still one of the best approaches around to find both individual sites that pay you to write as well as complete full time jobs. You can go to various job boards (like the one on ProBlogger), Craigslist, and search for interesting projects. Then, when you’re sending your offer, don’t forget to mention your website and all the articles you have published on the internet. This really works great as a portfolio. This is something I have yet to do, so I’m only listing it here to make the message complete. 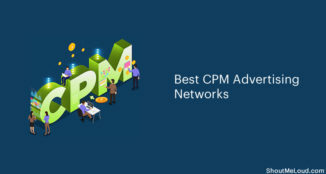 LinkedIn is the biggest professional social network around. Listing yourself as a freelance writer there, and creating a quality profile can surely help you a lot. Creating a “hire me” page on your site is a no-brainer as well. This page will be the first one people visit to find out what you have to offer. Remember to list your best articles, your area of expertise, and any references you have. You may think that this doesn’t feel like a real case study, but I can honestly say that this is exactly what I did, step by step. I’m maybe not the biggest freelance writer around, but I’m still doing just fine. As you can see, most of my advice revolves around offering stuff for free. This is not a coincidence. To be honest, I think that I offer 30% of my articles for free, just for the purposes of brand building and spreading the word around. What’s your take on this? Do you have a plan on how to launch your freelance writing career? This is a guest post by Karol K., A freelance blogger and writer. If you like to write a guest post on ShoutMeLoud, read our submission guidelines. Karol K. is a freelance blogger and writer. If you want to find out what he’s up to and get some top quality freelance writing advice, feel free to visit YoungPrePro, or hit him up on Titter (@carlosinho). Thanks for sharing your personal case study. Mine was a little different, but I think everyone’s approach is unique, so by no means am I suggesting mine was better. For what it’s worth, though, I have never guest posted. Instead, I started out by taking paid assignments on a bidding site. The money wasn’t great at first, but at least it was money and over 3 years later, I am still getting work from some of the clients I found there, but am getting paid almost 4 times as much for it. I agree with you about creating a niche, but here, too, my approach was a little different. In fact, it was more of an accident than an approach. I was asked to write some content about home improvements; then I was asked to write more and so on until now, 500 odd articles later, I really am a home improvement expert. Thanks again for an informative post. By sharing our experiences, we can help each other make that elusive freelance writing dream come true. Your tips are very nice that are very helpful for earning online. LinkedIn profile and Hire me page is very helpful to providing good opportunity for you. Thanks for sharing this info. I have shared my blogs and websites and used to write for them, but after google panda updation not getting organic visitors from search engines. What should I do? It is hard now to get visitors to your website. I am just facing problem with it. Freelancing..the word seems literal when it comes to Indian clients. Everyone wants a dynamic, imaginative, authentic, “creative” content, but alas! where is the money? People are willing to pay to designers, programmers even so called SEO experts, but content writers? why to pay? It’s an easy peesy job..isn’t it? I left my job and started freelancing and found difficulties in things which were beyond my planning. So, I switched over to magazines freelance writing, and a bit on line content. 4. don’t listen to clients who pay you peanuts and ask for creative, imaginative, original etc. article. Don’t think, rewrite it and get your payment. period. Very Nice Tips under freelance writing. 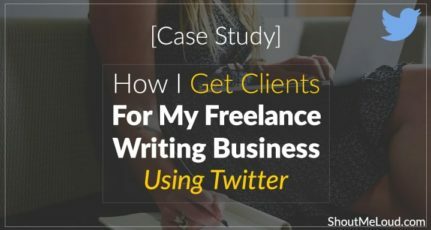 It will be useful for freelancer content writers. But It is a very challenging for me working as a full time writer and doing freelance writing too. Please suggest. 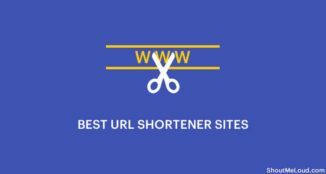 How can I write large and quality content…because when I start to write..I cannot write more than 50-60 words..
Am writing from last four month and my blog is running well but my friend says that it has many grammar mistakes, and lacks keyword please suggest me, How can I improve my writing skills, hope you answer in my Gmail. I read your blog it helps me a lot. Please suggest me some more. I feel motivated after reading this post.I think I can try my luck as freelance writer as I am very close to this job.I am a teacher teaching Social Science and my work requires a lot of debates on social issues. I have to keep myself updated regarding happenings around the world. My special attention lies in environmental changes,political issues and advancement in space technology. Now that Elance is Gone! 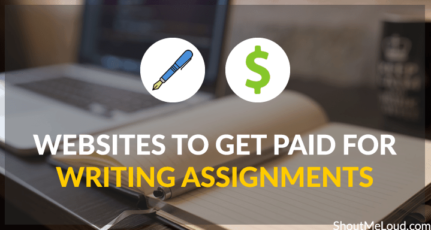 Where to Get Paid For Writing Assignments?